Hey, is that Aurora Desktop? In the latest September 9 build of the Windows Vista Update Advisor, I spotted a really interesting image out of the “while you wait” information section. In the screen-view of that Windows Meeting Space client, the background image is extremely interesting. Could it be the Aurora Desktop? Evidently the build is new, since the style of the calendar widget is of those found in the RTM branch. The background has elements of the Aurora as well as the Flare, and even the blue and green the Microsoft guys told Robert Fripp to think about when composing the music for Vista. The colors are really intense. It looks like nothing we’ve ever seen for a Vista wallpaper before. 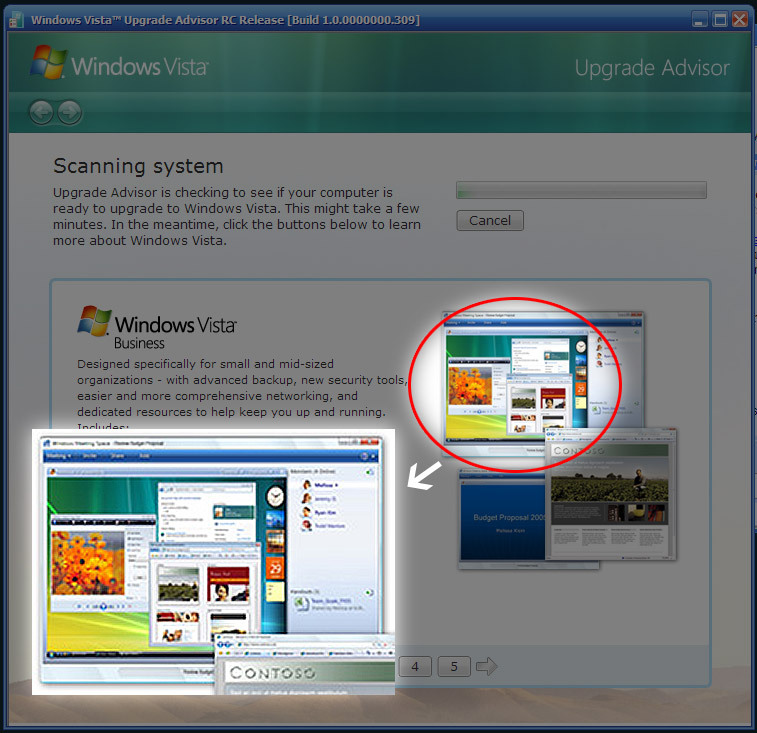 At least if it’s not Aurora Desktop, it shows Microsoft still has a lot of Vista things under wraps. While an animated Desktop Aurora wallpaper WILL come by Vista’s release, that there is not the final one by any means. Trust that. Aaron’s post saved for future reference. Just as I had said, that there wasn’t the animated version of the Aurora Desktop. It was simply a static background. Respect your elders Bryant and Zheng, especially when you don’t know what your saying nor what your talking about. Helllllooo from September! Two months ago! Thank you pointing out the obvious Aaron Lucas!